Pholio is a new device that’s aiming to take on Google Photos with a hard drive for your photos that’s searchable by using keywords. The difference here is that Pholio keeps your data secure, and searchable while remaining offline and not relying on cloud services. Once plugged into a device, Pholio will automatically search through it and back up all of your photos and videos. You are able to store either a high-resolution copy or a smaller optimized version (3-4 MB for a photo, or 720p resolution for a video). If you choose the optimized version, Pholio will still provide you with a link to find the original, higher resolution file quickly. 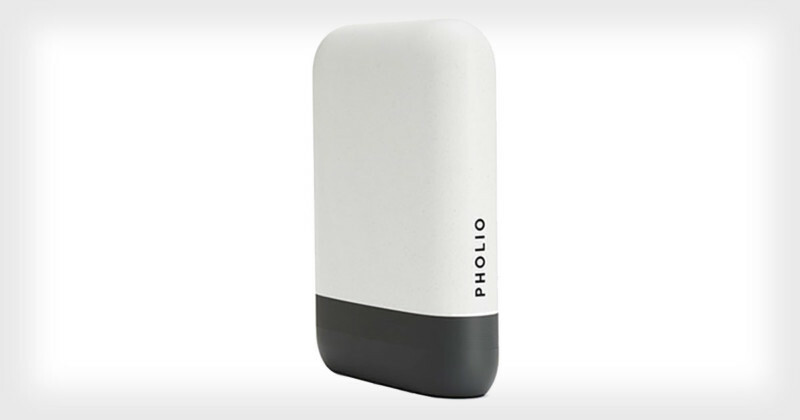 Pholio has a 500GB capacity but, for those looking for more storage, there is a 2TB Pholio Pro available. Any devices you give access to can browse the hard drive, whether they are a Mac, PC, tablet, or smartphone. Pholio already has 20,000 descriptors that it can harness to pull out the right photos for your keywords, but you can also tag your photos with new keywords so that it can keep learning. It also has fast and accurate face detection, allowing you to collate an album of photos of a particular person. Pholio even allows you to search within videos, finding the perfect still shot without having to watch the full playback of the video. In a coming update, there will be options for backup services and encryption, too. It may not be part of the recent push toward cloud storage, but Pholio believes that keeping local control of your images is necessary. The device keeps your images in your own hands, rather than relying on you handing over your photos to other companies. Pholio is available for 200 (about $260) during its launch phase on Kickstarter. That’s provided it reaches its $125,000 goal and successfully delivers. Delivery is expected in January 2018, although a number will be ready in time for Christmas.